Tents - Interact Event Productions - Corporate Event Planning at Wholesale Prices! Our rental tents are high quality and in pristine condition with high peak tension tops, decorative flagging and custom made signs. Our tents are eye-appealing and professional looking to your guests. We maximize your space and budget using our high quality tents, signs and flagging. We take pride in every event and our tent rentals are attractive and inviting for you and your guests. Interact Event Productions takes food service tent rentals to the next level and what makes us unique is that our food service tent wraps are preferred by the Department of Health. Each tent wrap we provide is Fire Marshall approved for safety. 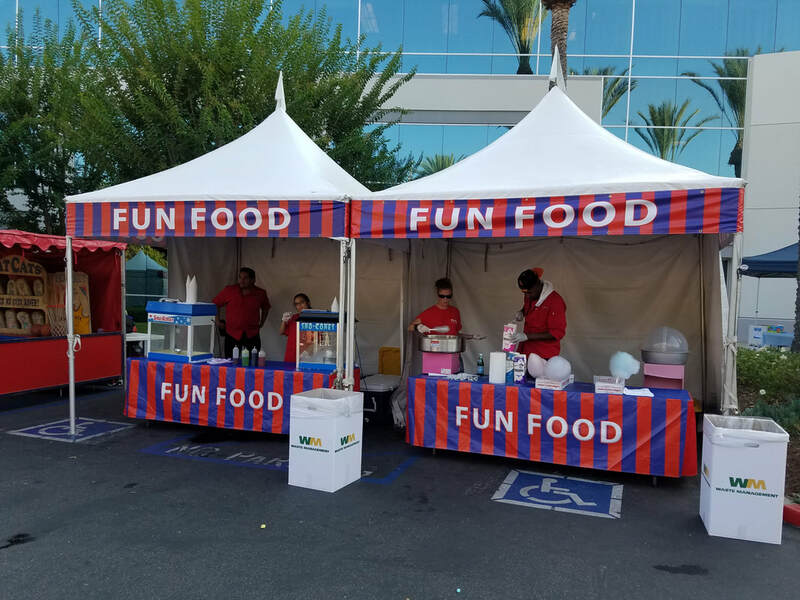 Our Food service tent rentals come with custom signs; not only making them more attractive than our competitors but also more functional. Our food service tent rentals look professional and help your guests locate food service areas quickly inside your event. Interact food service tents provide the ultimate quality control for your food vendors. Each tent wrap is custom made and fitted for our tents specifically. No other vendor can give you the professional look that you see here with our food tent event rentals. We offer tents of all sizes for parties, weddings, corporate events, fundraisers, casino nights, company parties, conferences, carnivals, festivals, picnics and theme parties. Our inventory also includes banquet tables, chairs, linen, dance floors, staging, candelabras, and lattice panels to make your party complete. There is nothing we can't do, our ideas and creative staff aim to please - CALL US FOR A CUSTOM QUOTE 888-788-1233! Our tents comply with the Fire Marshall and Health Department standards. We make sure that our tents are kept in clean, pristine condition so that you get a professional look every time. 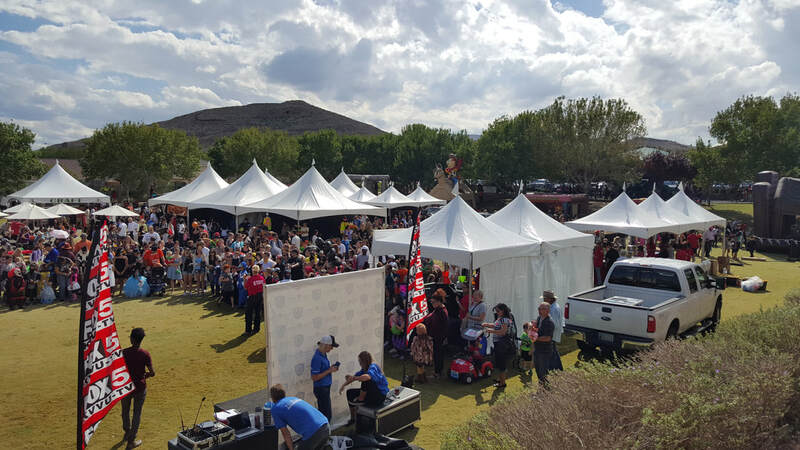 When it comes to event tent rentals, Interact Event Productions excels above the rest. We own our own inventory, all the tents, tables and chairs belong to us so there is no upcharge for using third-party vendors.